Hummanaya Blow Hole – An attraction like no other! Located at the down south region of Sri Lanka, The Hummanaya Blow Hole is a must visit attraction during your time in the country. Read on to know more about this amazing attraction and the region surrounding it. What is a Blow Hole? 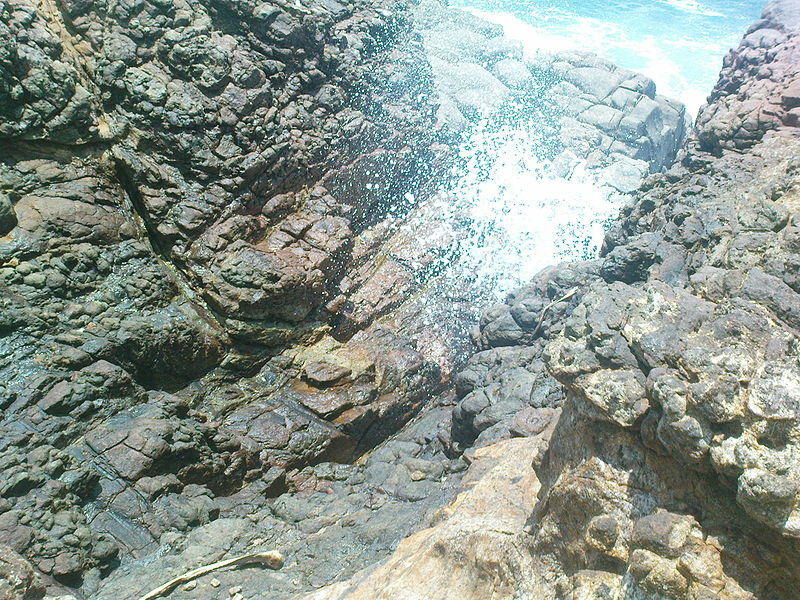 Found mostly along the coastal areas, a blowhole is a geological feature. This strange yet amazing phenomenon occurs when underwater caverns fill up with sea water. Then due to the build-up of pressure and through ‘hydraulic action’, water bursts out as a fountain which will be a spectacle to watch. Considered to be the second largest in the world, this blowhole sprays water to heights up to a whopping 25 metres. With more and more travellers visiting this destination, it has now been developed as a major tourist attraction with an information centre on the marine life around the region and a viewing platform. Hummanaya is located approximately a kilometre away from a small fishing town known by the name Kudawella, in the southern province of Sri Lanka. you can reach this site from Matara town by bus or a tuk-tuk. There are a lot of accommodation options you could choose from near towns such as Matara and Dickwella. A Dickwella resort known by the name Soul Resorts could be an option worth considering if you plan on staying longer on your visit to Hummanaya. Previous Post One of a kind UAE experiences – Unforgettable in nature! Next Post World-famous Broadway musical – MAMMA MIA! for the very first time in South Asia – A musical extravaganza awaits!